Portable basketball goal systems have provided the opportunity for many epic basketball battles to take place in the driveways of suburban homes around the nation. As a teenager my friends and I spent countless hours playing ball on a modest adjustable portable basketball hoop. We set the hoop to the height of 8ft and emulated the signature moves of our NBA heroes while trying to learn how to dunk like Jordan and Carter. When reminiscing on my youth as an adult, it is obvious that my portable basketball hoop was my favorite and most used gift that my parents ever gave me. These days, a lot of neighborhoods don't allow permanent basketball hoops anymore. Council regulations have become much more strict in allowing residents to erect a basketball hoop pole set in cement. Fortunately, if you don't want to miss out on the fun of shooting hoops in your driveway, there is an easy solution... buy a portable basketball hoop. When purchasing a portable basketball hoop system you are making a great investment into you or your child's basketball skill development and physical conditioning. HEY PARENTS! 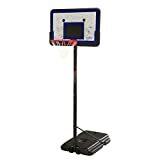 : A basketball hoop may be just the perfect gift to stop your kids from complaining about being bored and a way to finally get them off of their video game systems! 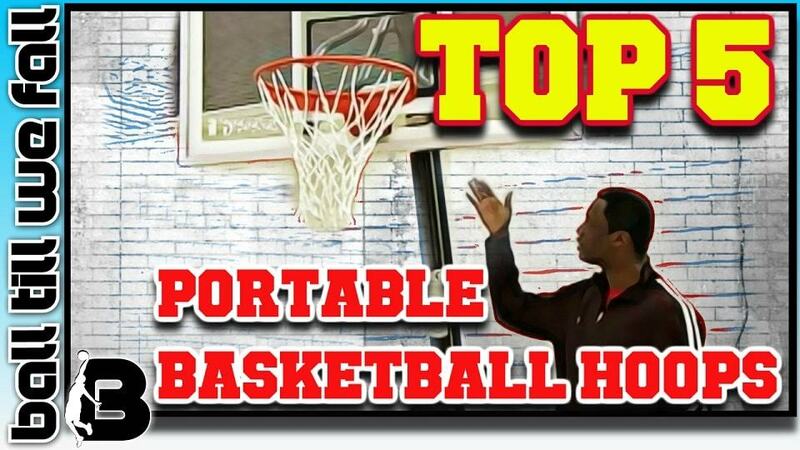 In this article I will take you through an in-depth look at the pros and cons of a range of portable basketball hoop systems for every budget and teach you how to select the right hoop for you. Ultimately, my aim is to help you find the best portable basketball hoop for your driveway or backyard. You can move it around your driveway or yard relatively easily. If you purchase an adjustable hoop you can lower it so that you can dunk. The ability to lower the height of the hoop allows kids to develop correct shooting form from a young age. The following article will highlight the shortlist of what we consider to be the best value for money transportable basketball hoop systems for a range of different budgets and personal requirements. After investigating over 40 different products we are proud to present you with our top 5 picks for 2018. "The Beast" is designed for security, mobility, and a pro like playing (& dunking) experience. Four-strut pole/base mount allows for superior system rigidity and the engaging handle make this portable basketball system very easy to move. The Lifetime Pro Court 1221 provides excellent value for money. If you have teenage kids who are interested in ball and don't want to break the bank this the perfect portable and adjustable hoop solution for you. The Lifetime pro-Court 1269 portable basketball system's 44" Shatterproof Fusion backboard with telescopic height adjustment provides a nice trade-off between value and pro play-ability. 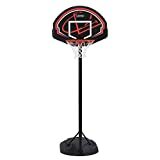 The Spalding Pro Slam 54" Angled Pole Backboard Basketball System allows for greater game-play and safety by providing more clearance for play around the hoop. The large backboard also adds that "pro feel" that all baller's love. 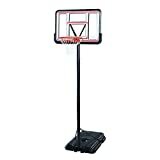 The Lifetime Youth Portable Hoop features a 32" Impact backboard and adjustable telescopic pole (adjusts from 5.5 to 7.5 feet high in 6" increments). This system is the perfect start for your little baller. "No other portable hoop system on the market comes close to matching the quality and features provided by The Beast. The 60 inch tempered backboard is pro quality as is the sturdy design from base to rim"
There are a number of important things to consider before purchasing a portable basketball goal system online. The standard backboard used in the NCAA and NBA is 72 inches wide and 42 inches high. A backboard of this size is a little overkill for most driveway basketball hoop setups. However, for those with the money to spend a full size backboard will deliver the ultimate gaming experience. Nothing feels better than hitting a Tim Duncan style banked jump shot from the 45 off the tempered glass. 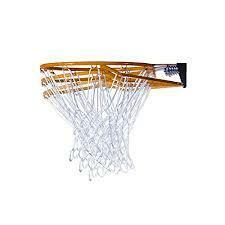 Backboards on the most popular cheap portable basketball hoop systems usually start at around 44 inches wide. This size is great for beginners however this size makes it more difficult to utilise the backboard for bank shots and layups. If you or your child plan on playing for many hours on end then you must be aware that this can hinder you game. 54" inches is the best size to go for optimal entry level play-ability. A backboard of this size provides a much more professional feel. If you want a quality, yet great value for money 54 inch backboard on your system check this out! On this size backboard your bank shots and layups will respond similar to professional hoops that you most likely play on at club or representative level. For those who want the ultimate basketball experience the best choice is a 60"+ backboard such as this one. Most of the bestselling basketball backboards are commonly made of either one of Polyethylene, Acrylic or Tempered Glass. Let’s take a closer look at each particular variety of backboard. Plastic Backboards: Great For Beginners! Polyethylene (or Polycarbonate) is otherwise known as plastic. Plastic is commonly used to produce the cheapest basketball hoops on the market. A major benefit of a plastic backboard is that they are extremely durable and will last for many years. If you want an affordable quality plastic backboard on your system check this out! 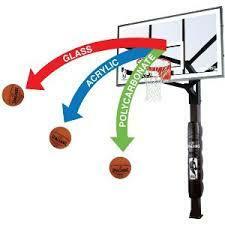 Unfortunately, by purchasing a plastic backboard you are sacrificing rebounding ability. This is a very important aspect that should not be overlooked if you take gameplay seriously. Acrylic backboards offer much better playability than plastic backboards. These acrylic backboards are also usually transparent and therefore gives off that pro feel. This is the sort of portable basketball hoop you will feel proud to show off in your driveway. Unfortunately these acrylic backboards tend to scuff and stain after a few years. They can also be scratched quite easily. Acrylic is the best-selling variety of back board as it plays much more true than plastic and is much more affordable due to it’s lightweight than tempered glass. However, the lightweight structure of acrylic backboards also come with relatively light frames and rim structures. This style of basketball hoop setup is usually fine for the majority of athletes, but for those of you who want to throw down some serious dunks and hang from the rim a tempered glass setup would be a better option. Tempered glass is the gold standard material used by professional basketball hoops in most professional leagues around the world. Tempered glass basketball systems are solid and durable with heavy base and support pole to support the weighty glass backboard. Tempered glass offers the greatest playability out of all backboard material varieties. Best yet it doesn’t scratch and is very easy to keep clean and tidy. If you can afford it this is definitely the option for you. It is very important to consider how the design of the portable goal system can affect your gameplay. One of the most important design aspects to consider is the offset of the backboard. The offset is simply the distance between the backboard and the support pole. Many of the cheaper hoops only have a very small offset which makes it impossible to follow through under the rim when attempting a layup or dunk. This is a major limiting factor of the cheaper units which greatly reduces gameplay and can lead to collision injuries. The basketball hoops used in the NBA feature an offset of around 4ft. Most portable hoops offer an offset considerably lower than this, however systems such as “THE BEAST” still provide enough clearance for optimal gameplay and safety. 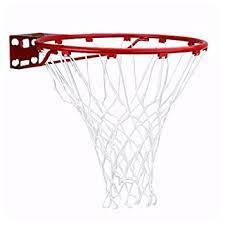 The standard rim diameter is 18 inches and is simply screwed into bottom of the backboard. This style of rim is usually supplied in the cheaper units. These standard basketball rims are not made to withstand dunks. Any pressure applied to the hoop through a dunk will be transferred to the backboard. This will result in cracks forming in the backboard or even worse the rim separating from the backboard. Dunking on these hoops is prohibited as it can and has resulted in many deaths in the past. Breakaway or spring loaded basketball rims are a much more professional option than the standard rim. These rims come with high grade tension compression springs which take the load off of the backboard when dunked on. These rims also tend to give that soft feel to the rim much like pro hoops. A stable pole is a vital for the safety and gameplay of a basketball hoop for home driveway. Most hoops know come with the ability to adjust for varied heights. This adjustability option is great for families with kids of various ages. However, we must acknowledge that the adjustment mechanisms used in the design of the cheaper units are more cumbersome to operate than the quality devices integrated in the more expensive models. Cheap ﻿﻿basketball hoops often use a telescope pole which is adjusted by a knob in 6-8 inch increments. Anyone who has used this adjustment system knows that it is an absolute nightmare operate. Often two relatively strong adults are needed to make a simple adjustment. More expensive hoops like the Spalding Beast offer a screw jack adjustment system. The screw jack system is much easier to use for people of any age and definitely a better option if you are regularly raising the hoop up and down. It is very important to purchase a portable hoop system with as stable of a base as possible. Hoop systems come with a range of different height adjustment setups which ultimately determines the base design and overall size. Obviously the larger the backboard the more heavy duty the base will need to be. The position of the base can also hinder gameplay on some models. This is particularly true in the cheaper model basketball hoop setups that have a vertical pole. Ensure that the system has a breakaway (spring loaded )hoop. Searching all over the internet for the best basketball hoops and systems can be very time consuming. 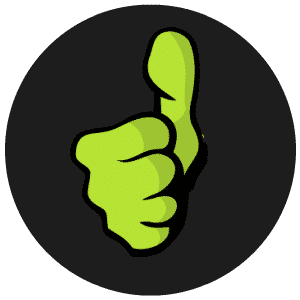 Now all you have to do is read our easy to follow roundup reviews below and make your decision on which movable basketball hoop system is right for you. This 32" Youth Impact backboard with 15-Inch rim easily adjusts from 5.5' to 7.5' in 6" increments. The system is rust and weather-resistant. Best yet the system is Backed by a 5-year limited manufacturer warranty. This is the perfect choice for kids aged between 5-10 yrs old. Some buyers underestimated the size of the unit. Only suitable for kids. Not for dunking. The Lifetime 1221 Portable Basketball Hoop is a great beginner system. It is designed with a 44" high-density polyethylene plastic backboard which can be adjusted from 7.5 to 10 ft with a telescoping height adjustment feature. Portable base can be filled with sand or water for necessary stability and allows you to relocate the system if desired. The Lifetime 1269 Portable Basketball Hoop features subtle graphics and regulation size rim that make this a suitable solution for any suburban driveway. Overall this hoop offers excellent play-ability without breaking the bank. Super strong backboard with semi-pro feel. This popular portable hoop from Spalding offers excellent value for money. This hoop provides professional durability and can take a pounding unlike the cheaper models. This is as close as you can get to a pro feel backboard without having to spend the big bucks. Very easy to adjust height with "Exact Height Lift"
Technical Specifications Of Spalding's "The Beast"
The "Beast" is an expensive option that offers professional feel and playability. It is easy to move and a very durable build. A must have for any cashed up baller. We hope you have found our comparison and reviews of the best portable basketball hoops currently available online helpful in empowering you to make an informed decision upon purchase. Hopefully you know have better idea of the differences in the features and benefits that the more expensive hoops have over the cheaper options. Be sure to check back to this page regularly as we frequently update the page with the latest and greatest portable basketball goals on the market.